The Ladies Touchdown in The Big Easy! 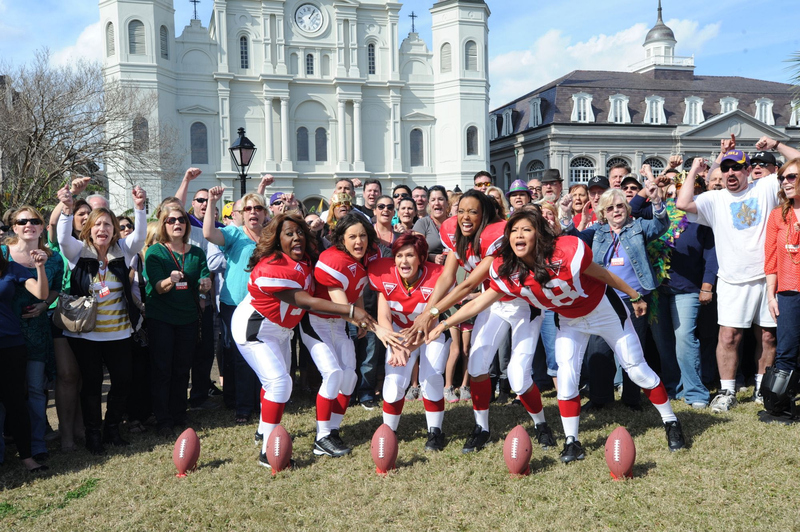 The Talk will be broadcast live from CBS Super Bowl Park at Jackson Square in the heart of the historic French Quarter. Sheryl Underwood, from left, Sara Gilbert, Sharon Osbourne, Aisha Tyler and Julie Chen, shown.